In light of recent changes in policy, regulation and technology, it is envisioned that the electric power sector will become more customer-centric, cleaner, distributed, and cost effective in the near future. To achieve this will require an evolution in the roles and involvement of multiple industry stakeholders, including customers, vendors, utilities, and investors. This panel will examine the evolution of the next generation utility as well as explore other industry transformations in policy and finance which are allowing third-parties to play an increasingly larger role in this transformation. PA Consulting Group is a global consultancy specialising in management, consulting, technology and innovation. It has clients in both the private and public sector including local and national Governments and the defence sector. Assess to this event is excluvely for Opening Ceremony ticketholders and registered NYEW ALL-ACCESS PASS holders. 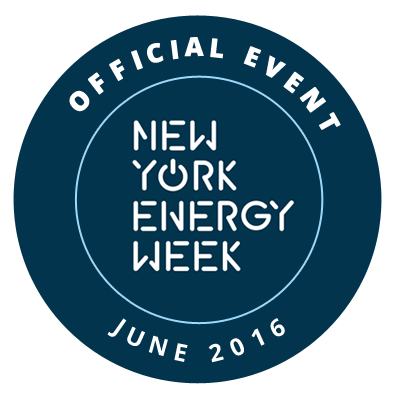 Following the NYEW Opening Ceremony, EnerKnol is delighted to invite Opening Ceremnoy attendees to join us for evening cocktails hosted offsite just a 5-minute walk from National Grid's Metrotech headquarters. Given high security at this special reception for Opening Ceremony guests, there will be no on-site ticketing desk and unregistered walk-ins will not permitted. The venue address will be provided via email only to Opening Ceremony ticketholders. As always, All-Access Passholders will also be permitted. Panel conversation will focus on various inflection points that will determine the growth and trajectory of distributed solar in the U.S. Jigar Shah, founder and CEO of Generate Capital and an early architect of the U.S. solar market, will provide a brief overview of distributed solar. Ron Borod, of DLA Piper, a thought leader in the development of solar securitization and tax equity structures, will then give a brief review of solar ABS deals closed to date, introduce the other panelists and moderate the panel discussion. The panelists consist of other prominent participants who are influencing the future direction of distributed solar. ✭ ENERKNOL-RTO PANEL ON ISO MARKETS: How Will the Organized Electric Markets Evolve to Support the Future Grid? To attend this event please purchase a DEMAND-SIDE MANAGEMENT ticket or an NYEW ALL-ACCESS PASS. "The Future of Demand-Side Management: The Intelligent Building"
A critical component to insuring a resilient, energy efficient future is to innovate and expand the concept of demand side management. With new technology and data driven solutions the buildings of the future will be able to intelligently save more energy and become an integrated part of demand response mechanisms. This event will take a look into the future and invite industry leaders to discuss how to create the intelligent building of tomorrow, that is not only cost effective but also part of solving the energy challenges in the city.